The Smart Money Clip by Storus is AllCoolShit.com's go to carry option for cash, and credit cards. Its metal so it stays the same compact shape no matter how much cash you stuff into it. 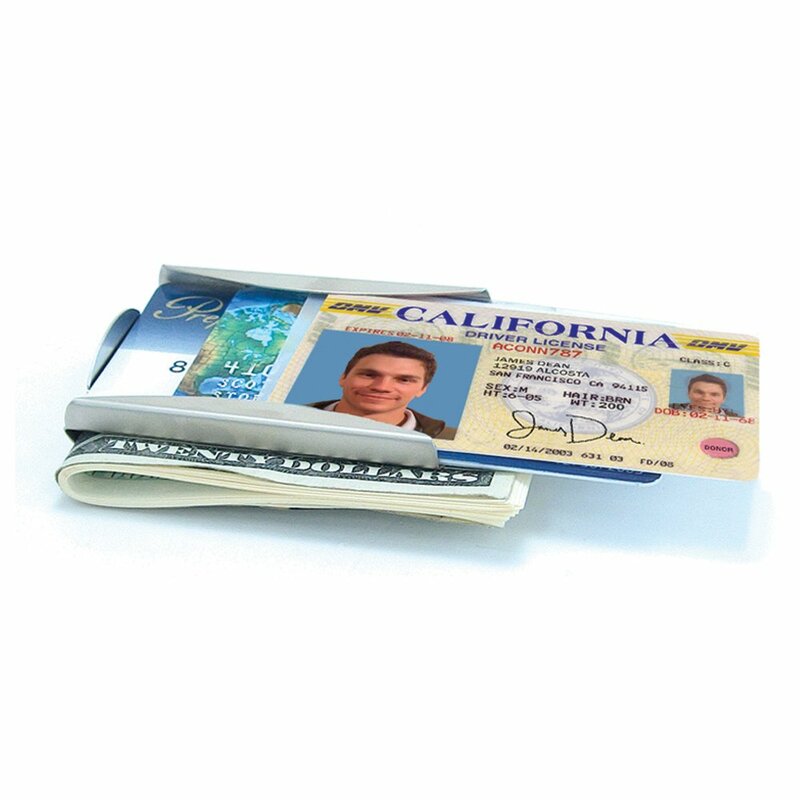 It holds up to five cards in the front, and whether its one card or the max of five, they stay snug in the clip with no risk of them sliding out. The Smart Money Clip is made with a durable lightweight (1oz) steel that fits easily into your front pocket without creating a wallet mark in your favorite pants. There are 6 different finishes available which can be viewed below. Storus also makes a Leather Smart Money Clip available in three different colors.